Not on Shopify? Start your FREE 14-Day Trial. 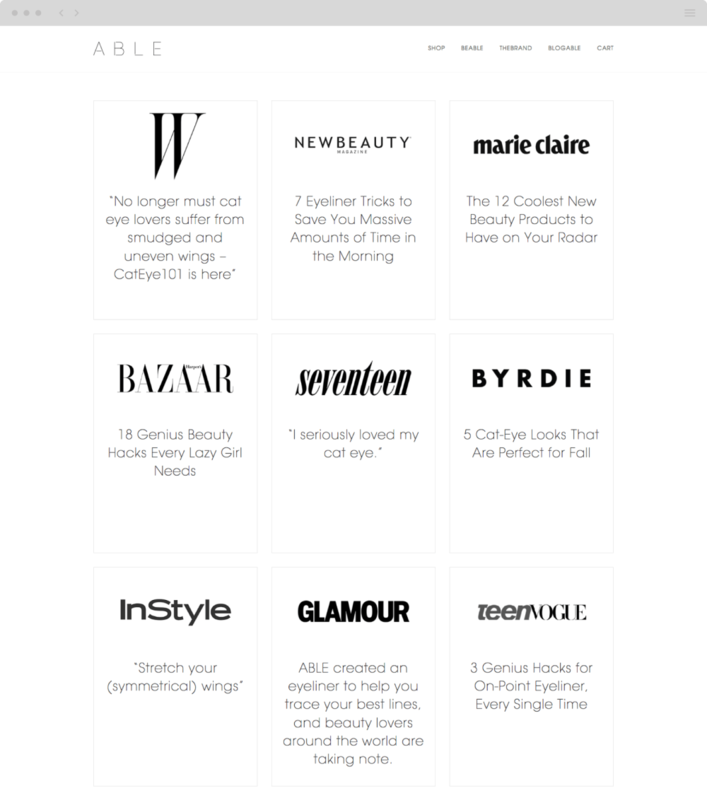 Empowering and enabling others to improve their everyday beauty routine. 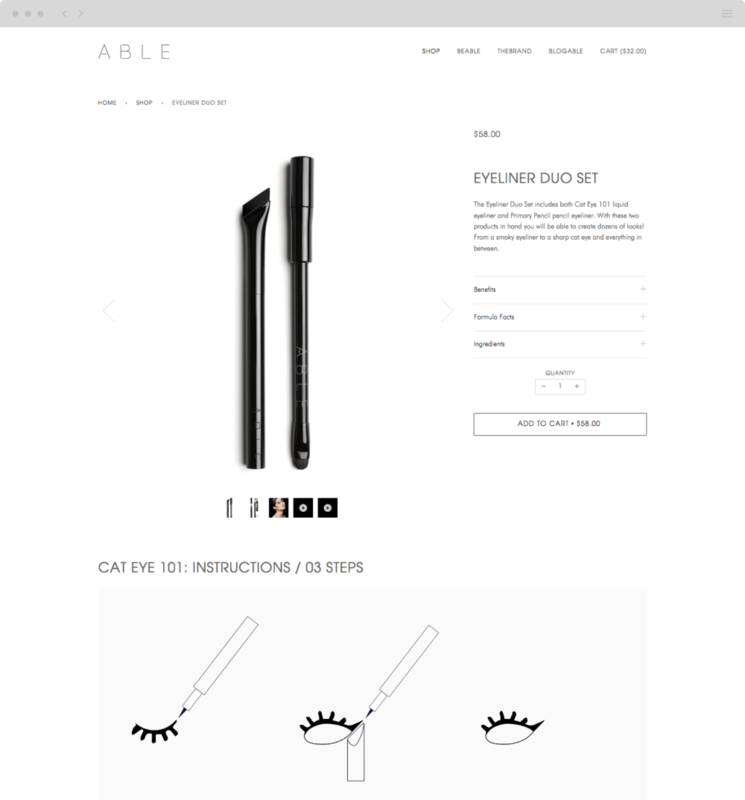 ABLE is a solution-oriented beauty brand aiming to solve everyday beauty application issues through user-friendly tools, instructions, high quality formulas and a hands-on learning experience. Looking for general help with Shopify? Have a specific project in mind? Our team of ecommerce professionals is ready to help.